Singer who represented his native Azerbaijan at the Junior Eurovision Song Contest in 2013. There, he performed his song "Me and My Guitar" and placed seventh in the contest. He began singing at age two and studied piano at the Rashid Beybutov Music School. He is just the second singer ever to represent Azerbaijan at the Junior Eurovision Song Contest. His father is a sound engineer. 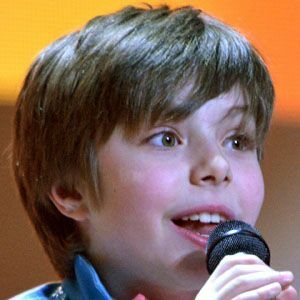 He and Ukraine's Sofia Tarasova both participated in the 2013 Junior Eurovision Song Contest.